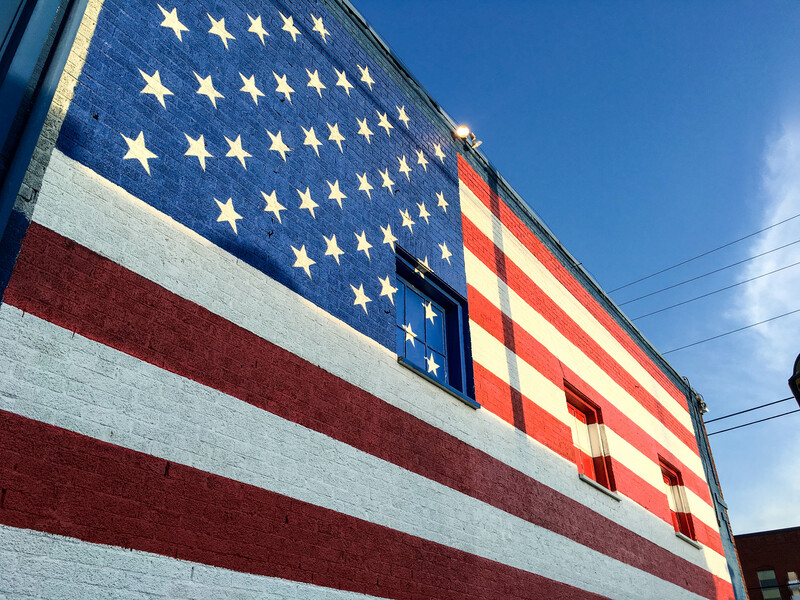 Just east of Downtown Dallas, Deep Ellum has quickly become a hotspot for those looking to jam out to the live music, enjoy dinner with friends or capture the perfect picture at one of the many murals that are scattered throughout the neighborhood. Through a special initiative led by 42 Real Estate owner, Scott Rohrman, Deep Ellum has quickly resurfaced in the arts community. Today, the 42 Murals project draws in visitors from Dallas and beyond with wild themes and imagery that were curated specifically by local artists and from around the world. 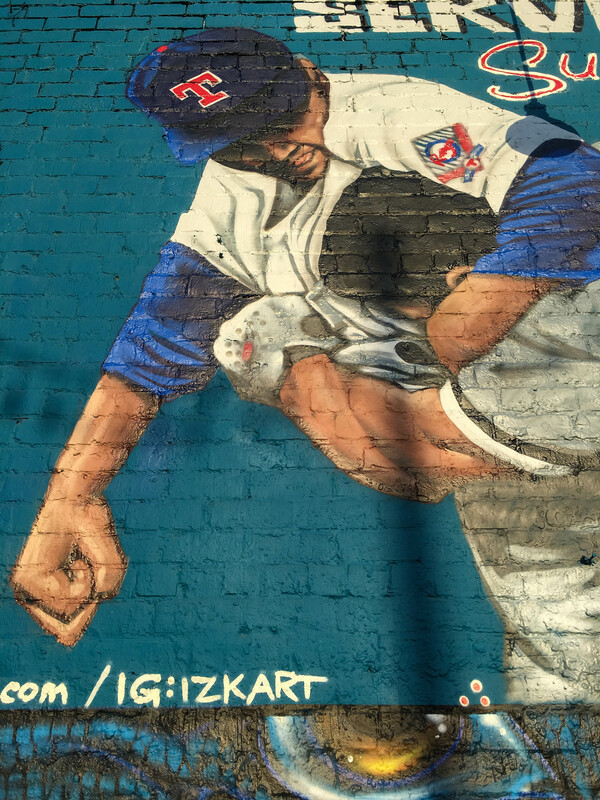 With our shoelaces tied tight and our phones dialed into Instagram, we set out to discover the most unique murals around. Here's a look at what we saw along the way, including a few spots that you may have never seen before. Bright, beautiful and oh so bold, Viva Deep Ellum masterfully mixes the spirit of the neighborhood with a full cast of smiling characters. 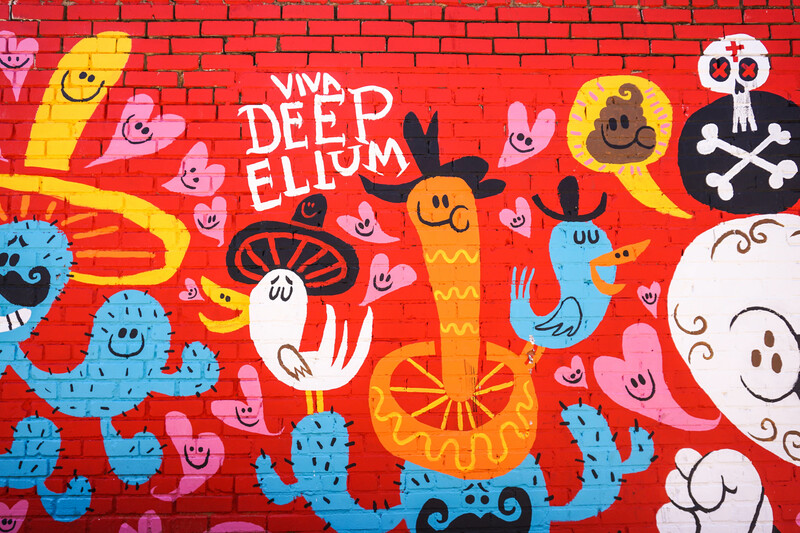 Viva Deep Ellum by Jorge Gutierrez. Michael McPheeters', Deep Elm, connects Dallas' storied past to the future. You'll find a roaring steam engine on one end while a spaceship is being launched on the other. If you look closely, visitors will find one local legend that goes by "Keyboard Bob". We can't confirm or deny the subject behind Deep Rawlins but something tells us we may have met Mr. Clean's hipper younger brother. Deep Rawlins by Steven Hunter. Domo arigato, Mr. Roboto! 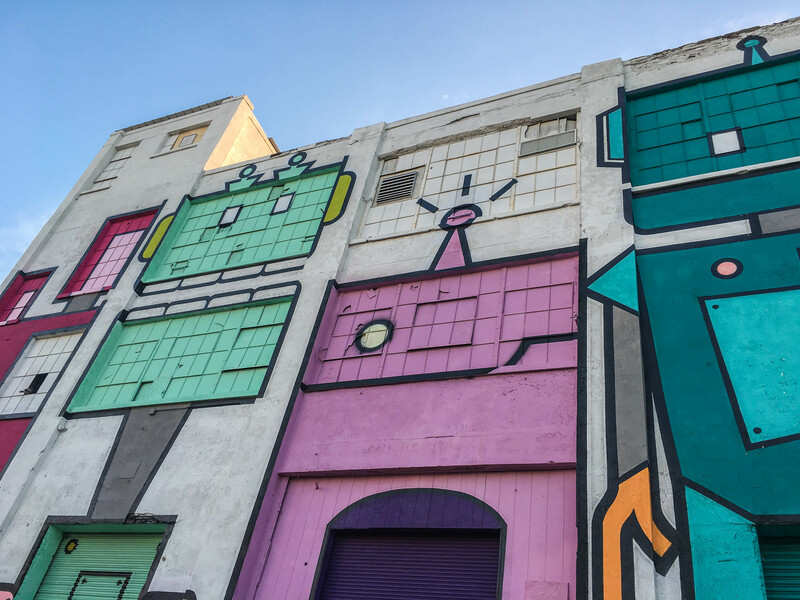 Strike a pose with a family of colorful robots that have found a home off of Hickory St. and Trunk Ave.
Hickory St. and Trunk Ave. This may be the only stampede you'll gladly jump into! 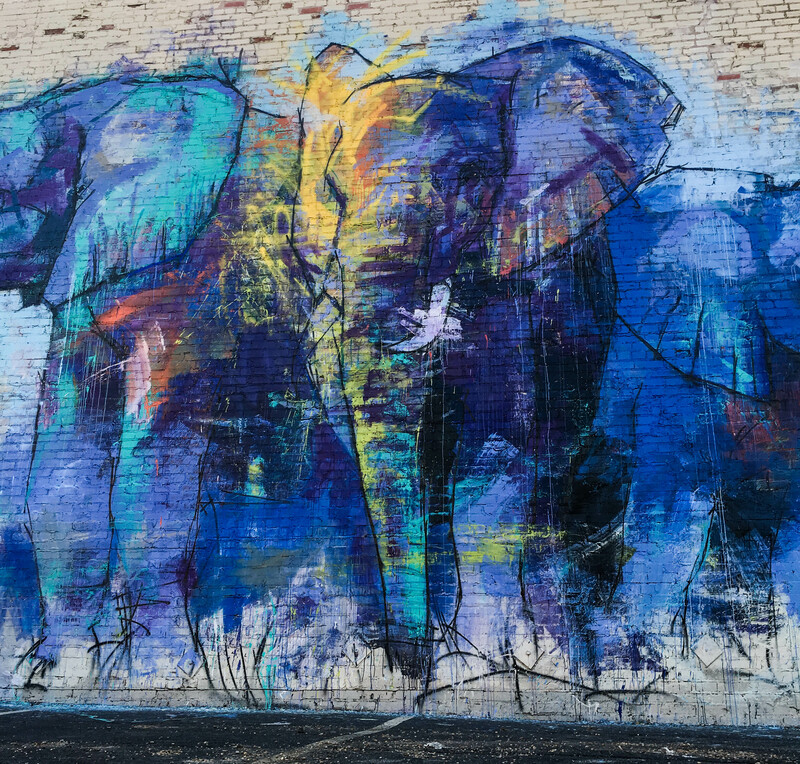 We love the soft tones that make up this larger-than-life image of an elephant herd that completely covers the Brake & Clutch building. Brake & Clutch Building - 3601 Main St. This patriotic homage to the red, white and blue is worthy of a selfie during the goldest of hours. Honoring the red, white and blue. It was the punch heard 'round the ballpark! Things got heated quick after Nolan Ryan struck Robin Ventura with a beanball. Ventura charged the mound but wound up in a headlock that will forever live in Texas Ranger baseball history. Nolan Ryan takes on Robin Ventura. Considered one of the greatest power forwards of all time, Dirk is a living legend here in Dallas after carrying the team to a historic NBA Championship in 2011. At 19-feet-high and 53-feet wide, this is a must for any die-hard Dallas Mavericks fan. Are you feeling a little lovey-dovey? 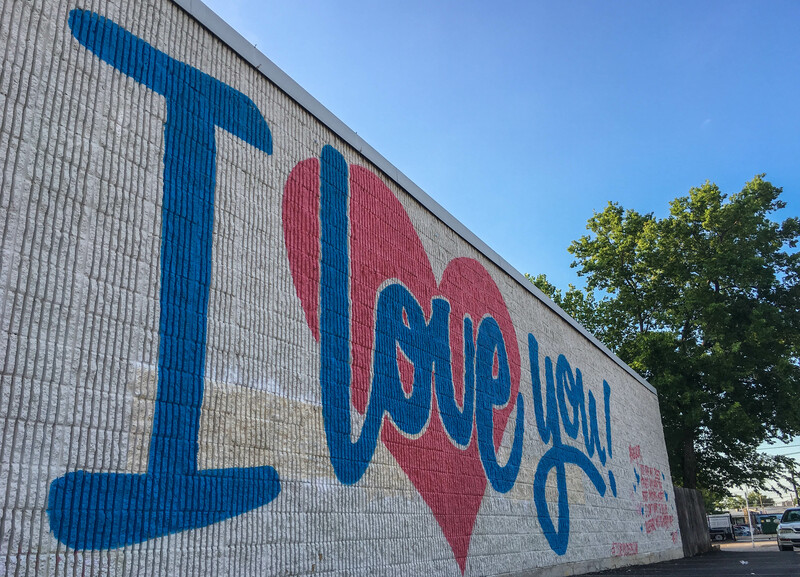 These two murals have popped up recently and have quickly become a hot spot for art lovers everywhere. I Love You Deep Ellum. 239 N. Malcolm X Blvd. 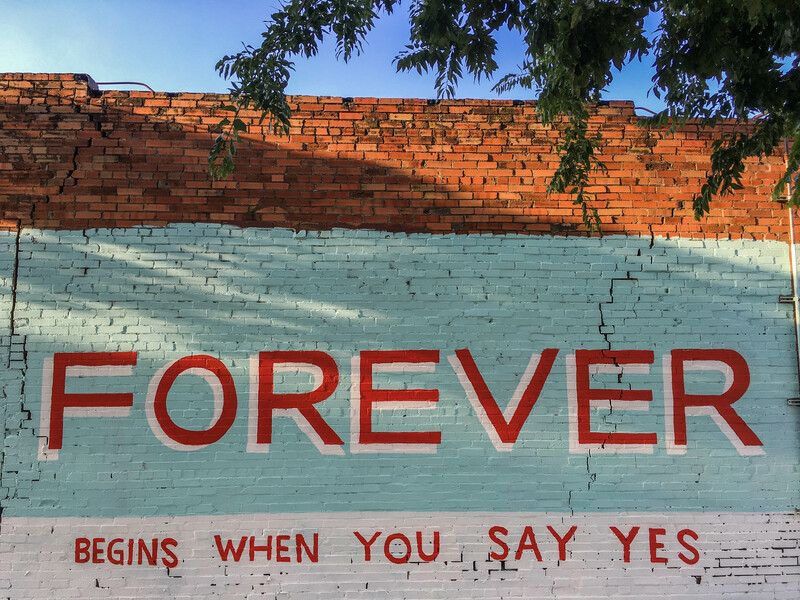 Forever begins in Deep Ellum. No selfie is complete without stopping at the brand-new VisitDallas mural. 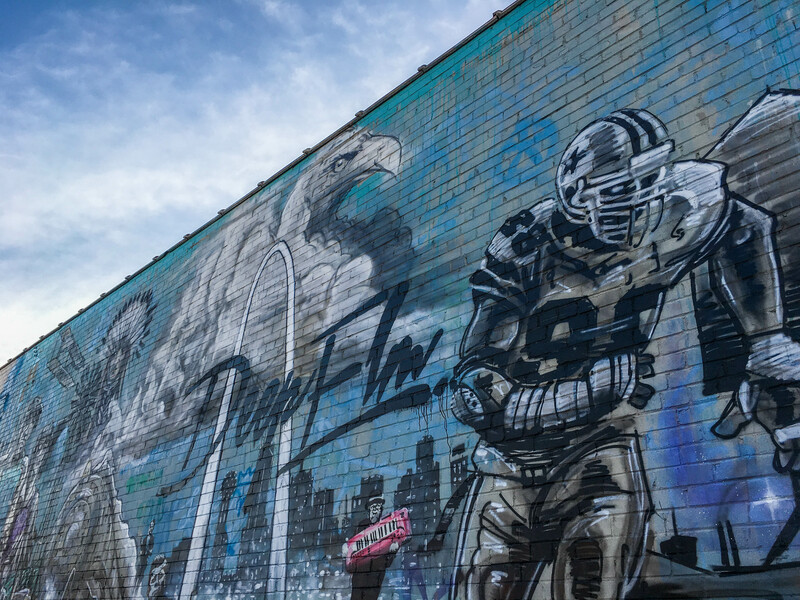 This incredible mural features some of the most well-known spots in Dallas. 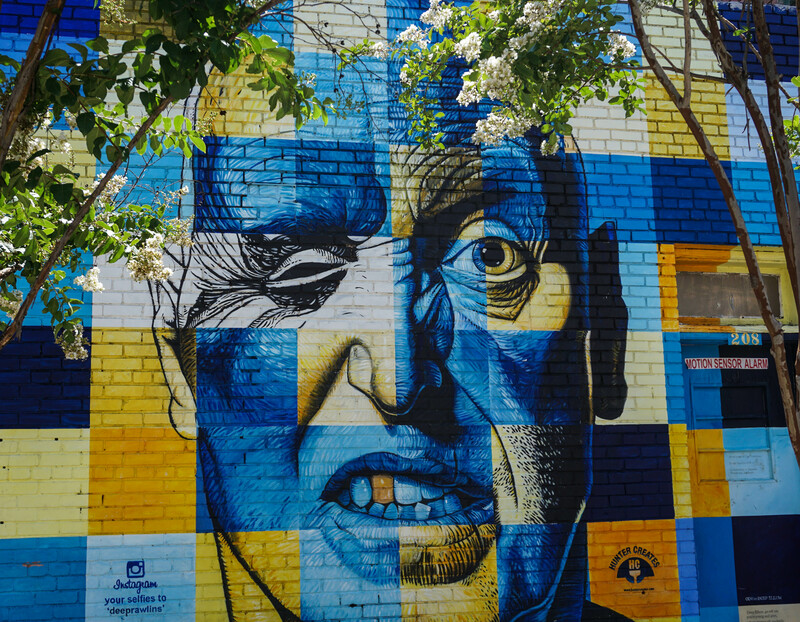 From Reunion Tower to Deep Ellum's very own, Traveling Man, this mural proves that everything is bigger in Texas. Turn Dallas into a giant board game with a scavenger hunt adventure!